The Beaufort Inlet serves as the only thoroughfare for container ships to bring nearly 2 million tons of cargo each year to the Morehead City port. Keeping that channel open is vital to the region’s economic growth. Every three years, the US Army Corp of Engineers dredge the Morehead City harbor to allow safe passage for the large vessels. But now, proposed changes to where that dredging material may be deposited has Carteret County residents at odds. Mayor of the town of Atlantic Beach Trace Cooper says placing sand on Shackleford Banks is unnecessary. As part a federal requirement, the US Army Corp of Engineers must have an Integrated Dredged Material Management Plan for the Morehead City harbor to assess how dredge material is disposed of. When the Corp set out to draft their new 20 year plan, they sought the help of local, state and federal agencies for suggested options. Chief of environmental resources for the Army Corp of Engineers Wilmington district Phil Payonk says the National Park Service, which is located at the Beaufort Inlet, was part of the planning process. Dredging deposits have been placed along the Bogue Banks area for the past 30 years. Cape Lookout National Seashore Park Superintendent Pat Kenney says they would like to have the ability to place sand on Shackleford in the future. The environmental impact statement for the Integrated Dredged Material Management Plan was released for public review and so far no decisions have been made. The US Army Corp of Engineers is accepting comments on the plan through February 2nd. A public information session was held this Wednesday at the Duke Marine Lab on Pivers Island. Mayor of the town of Atlantic Beach and spokesperson for Carteret Coalition to Protect our Shores Trace Cooper asked for the meeting to be held so Carteret County residents could hear the details of the plan and voice their concerns. However, he says the US Army Corp of Engineers are only accepting written comments. Chief of environmental resources for the Army Corp of Engineers Wilmington district Phil Payonk says submitting a written statement is the best way to comment on the plan. Trace Cooper is among many Carteret County officials and citizens who believe dredging operations on Shackleford Banks could negatively affect the pristine coastline and wildlife. Navigation project manager for the Army Corp of Engineers Wilmington district Bob Keistler disagrees, saying the permitting process before an area can receive dredging material ensures minimum impact to the environment. Shackleford Banks is home to over 110 wild horses, which is the oldest documented horse population in North America. Carteret Coalition to Protect our Shores spokesperson Trace Cooper believes the plan would have a negative effect on tourism, wildlife, fishing and the wilderness character of this protected area. 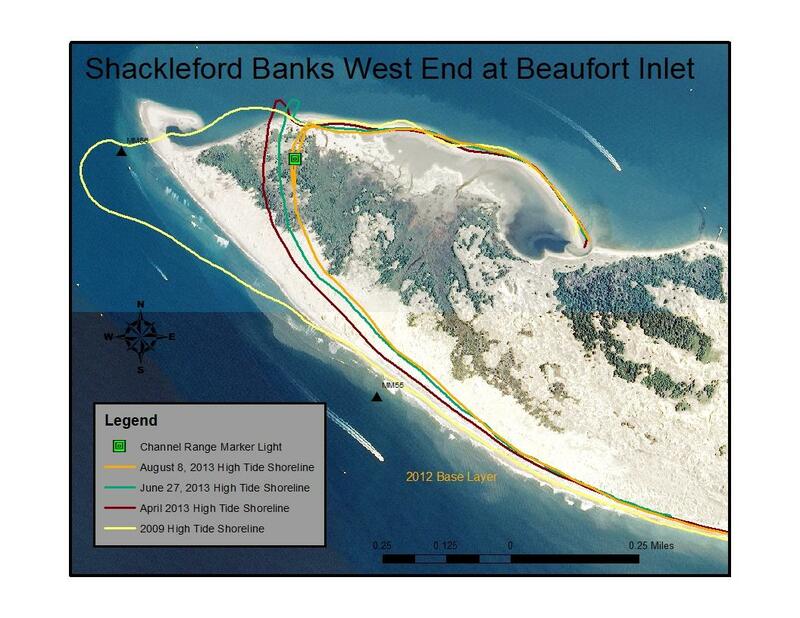 According to Park Superintendent Pat Kenney, there are two potential sites on Shackleford Banks that would benefit from the placement of dredging material. One of those sites is directly on the beach on the western end of the island and the other is in a near shore area in waters less than 25 feet in depth. While there is controversy surrounding the placement of dredging debris, Navigation project manager Bob Keislter says beach nourishment isn’t the aim of the dredging project. The public comment period started December 6th and will run until February 3rd. Written comments can be submitted through the mail or an email address available on Carteret County’s website and the US Army Corp of Engineer’s Wilmington District website. After the final Environmental Impact Statement is released, and a record of decision document will have to be signed by the US Army Corp of Engineers and the National Park Service. The Morehead City Harbor Integrated Dredged Material Management Plan is expected to be completed in Spring of 2015. To download the 300 page draft environmental impact statement and submit comments to the US Army Corp of Engineers plan, visit our website, publicradioeast.org and click on this story.